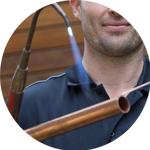 Looking for a plumber in Sutton? Then look no further, the Handy Squad is ready to give you a helping hand. 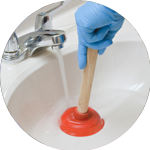 Since 2005, our team of high-skilled professionals have been dealing with all types of plumbing issues, from waste disposal unblocking to burst pipes. 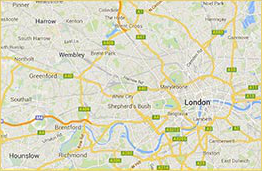 Our team can be seen all around London in their distinctive yellow scooters and vans. Sutton first began to grow and expand into a town when it connected to central London by rail in 1847. Nowadays, the area is the administrative headquarters of the London Borough of Sutton. Located between South London and the slopes of the North Downs, Sutton has a lot to offer. It is home to the largest library in the borough and the sixth most important shopping area in London. It features beautiful Victorian architecture and vibrant green spaces. This includes Rose Hill Park East and Manor Park as well as two local nature reserves. 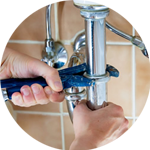 Our team of expert plumbers can reach you in Sutton or any of its neighbourhood areas, such as Croydon, Mitcham, Wimbledon and Epsom. We offer all the services you might require, from installing macerators and waste disposal units to replacing cartridges and dishwashers. 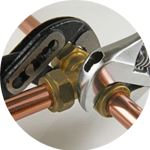 If you are looking for other handyman services, our Handyman London team offers locksmith services, jet washing, decorating, carpentry, electrician services and much more.